After nabbing the experiment-happy Try Guys to host this year’s flagship presentation, the Streamy Awards has tapped close friends and leading lifestyle influencers Alisha Marie and Remi Cruz to host a breakout event honoring notable achievements in digital marketing. Dubbed the Streamys Brand Awards, the inaugural ceremony is set to take place during the first-ever West Coast edition of IAB‘s NewFronts on Oct. 9 at 8:30 p.m. ET at NeueHouse Hollywood. While the Streamys serve to recognize noteworthy players in digital media, the Brand Awards spotlight the year’s biggest advertising innovations, including marketers and the influencers that they harness to spread their messaging. 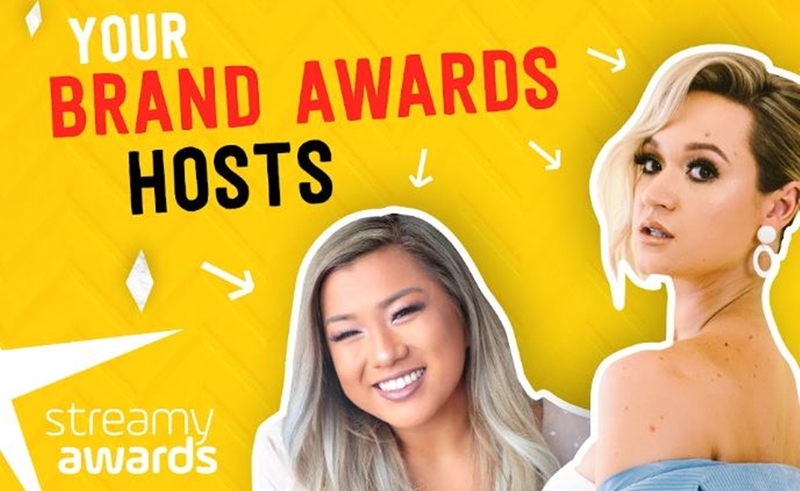 Alisha and Remi will hand out Streamys in four categories: ‘Branded Content: Series’, ‘Branded Content: Video’, ‘Emerging Platform’, and ‘Influencer Campaign’. Finalists this year include AT&T and Hello Lab’s Guilty Party, Glad and Portal A’s Upside Down Cooking Challenge, and The Ad Council’s ‘Seize The Awkward‘ campaign — created alongside the American Foundation For Suicide Prevention and The JED Foundation. “I’m excited to celebrate the brands who truly understand the digital industry and to announce the extraordinary winners from each category,” Alisha said in a statement. Marie, who recently celebrated a decade on YouTube, counts 20 million followers across all of her social channels — though she hasn’t been shy about discussing the struggles that come with a relentless upload grind. She also released a limited edition pool float over the summer. For her part, Remi has 4 million followers on social media, and most recently debuted her very own skin care brand, HoneyPop. After rising to renown for her DIY, cooking, beauty, and fashion videos, Remi recently began incorporating more health and wellness content into the mix, chronicling her weight loss journey of over 50 pounds.